Let us discuss these trousers and whether certain mothers over the age of 35 should purchase them. The first time I saw these they were styled with a short-short as the under-layer (rather than the full lining you see here) and I was like, "Hmmmmmmmm." Do I love the big flowy pleats? Yes. Do I love the is-it-a-skirt flexibility? Yes. Do I love an elastic waist? Always. So you can imagine my distinct glee when they finally appeared with the full lining, thus making them accessible to us more discreet types. Basically these trousers define chic comfort, which is my favorite way to dress when the temps start to rise and the schedule loosens up a bit. 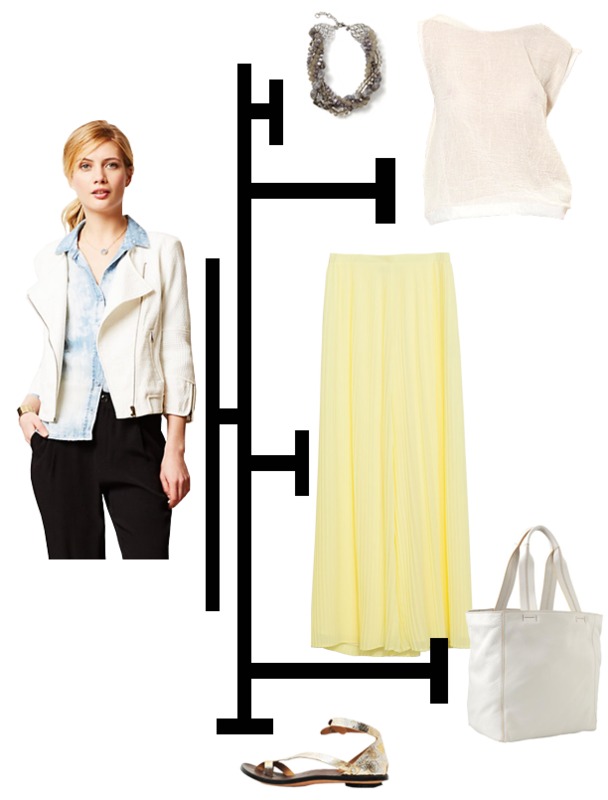 A flat, walkable sandal, a breezy tee, a cropped jacket, and a big bag. And a big necklace (glamour being for every day). Spring in the city? I got this.